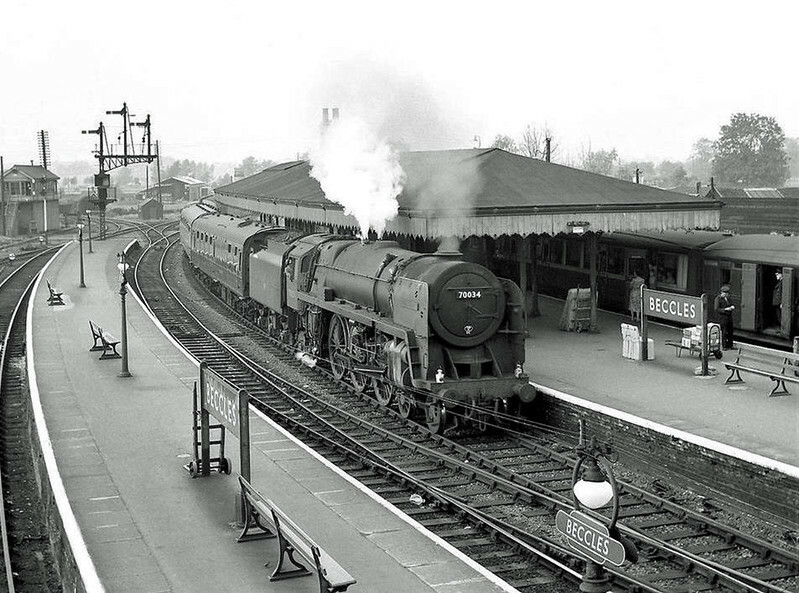 A fine shot of Beccles c1958 with Britannia Pacific 70034 "Thomas Hardy" arriving on a Yarmouth South Town to Liverpool Street working. Beccles North Junction signal box can be seen to the left. The junction split signals can be seen at the end of the platform. To the left, the Waveney Valley Line. The centre, Yarmouth South Town and the right to Lowestoft. Image:- J.S. Doubleday.